For a better grasp of the full potential of the theme, it is worth having a look at the philosophy behind the Header. The Header in Zuperla does not have predefined styles (like most themes), but the elements can be moved independently from each other. Most of these elements can have their own align without one’s place affecting the other’s. This way, virtually dozens of combinations can turn out. If you take into account the topbar that offers 2 places (left and right) and it’s of the logic On/Off and Add elements, Zuperla can satisfy even the most demanding user. Last but not least, Zuperla provides 3 different Header Modes that you can find under Theme Options > Header Options > Header Mode. The Default Header Mode, the Logo on Top Mode and the Side Mode. All modes have their own settings (colors, logos etc). 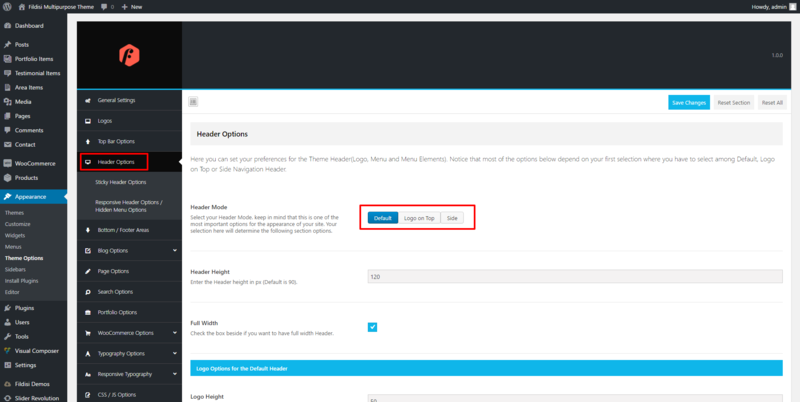 the Feature section area ( available in pages and posts) and the Anchor menu ( field bar in posts and pages ) option. Zuperla provides 2 different layouts you can select from in Theme Options > General Settings.